On the look out for the perfect bag to take you from desk to dancefloor? Then look no further than the Cynnie bag from Elizabeth and James. 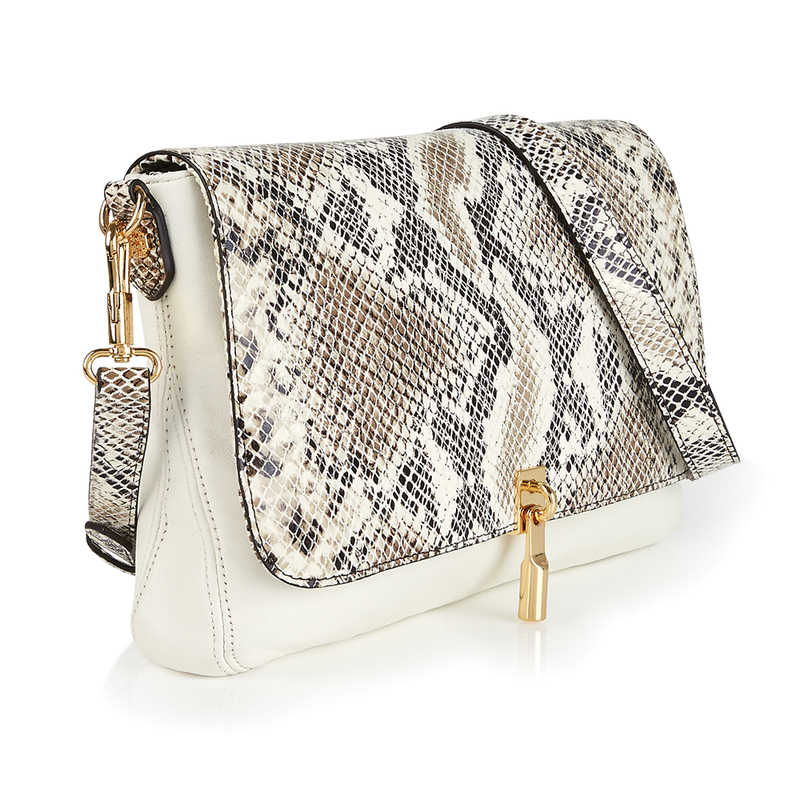 Roomy enough to carry all your essentials and with a detachable strap that allows you to carry it as a clutch on a night out, this gorgeous cream and snake-style cross-body number is a smart investment. 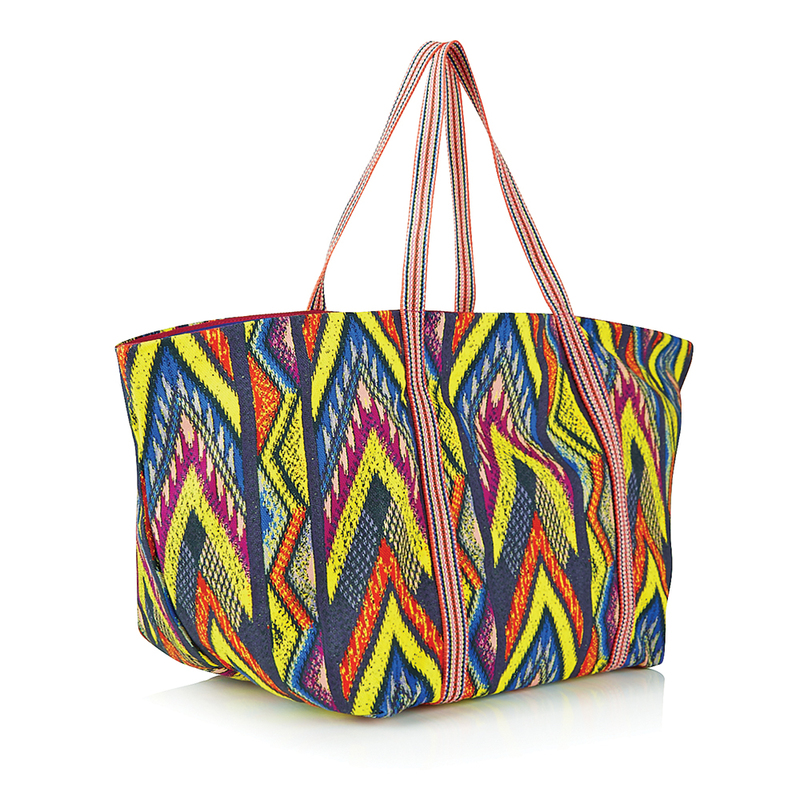 Don’t leave for your sunshine get-away without the M Missoni Zigzag beach bag in your suitcase. Featuring an all-over digital design and contrasting handles, this canvas printed bag is ideal for holding everything you need for the beach and is stylish enough to use on a day out sightseeing or hitting the shops. Want to work the print trend head to toe? There’s even a matching sarong and bikini available! We love a versatile shopper – it’s the perfect excuse to carry those non-essential essentials! 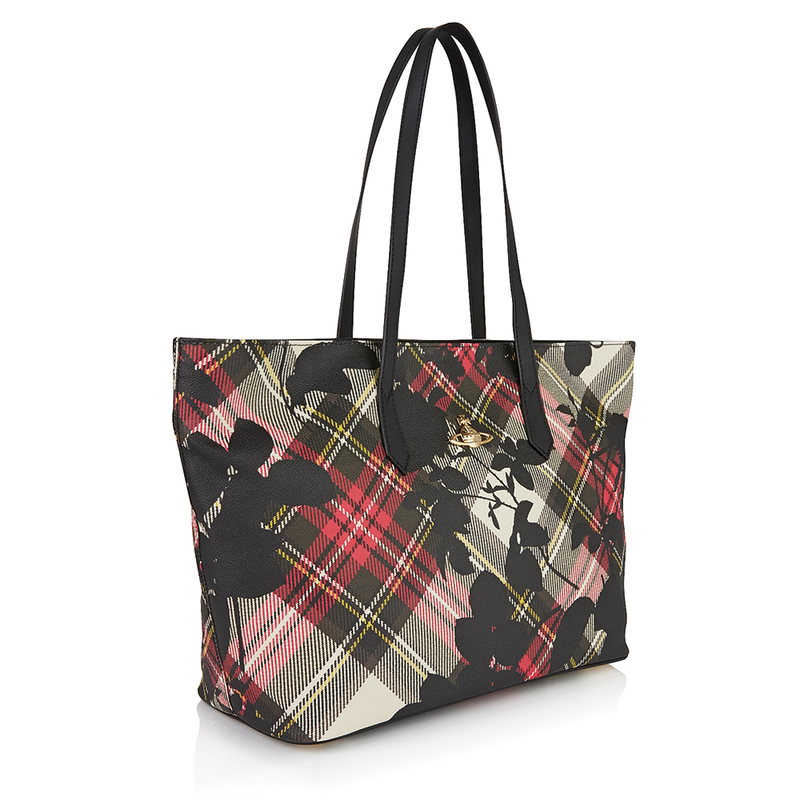 Give your workwear wardrobe an SS15 edge with this tartan Vivienne Westwood Derloyle bag. It’s the ideal accompaniment for this season’s monochrome trend, but will also look super chic with your favourite skinny jeans and heels on off-duty days.